If you’re a medical cannabis patient, you may have heard the term “whole plant medicine.” Whole plant medicine refers to the practice of making use of the therapeutic capacity in which the cannabis plant is used. Most strains of cannabis contain both THC and CBD in varying amounts. These compounds are both valuable and offer different medicinal benefits. 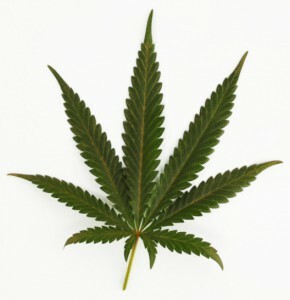 For example, THC has been shown to help with pain, nausea and depression. Meanwhile, CBD offers promising treatments for those with previously life-ruining seizure disorders. Pharmaceutical companies have isolated these compounds to make them available for those who suffer with specific conditions, while also avoiding the psychoactive changes associated with smoking marijuana itself. However, experts are finding that “whole plant medicine” in relation to cannabis is more beneficial in many ways. As the stigma surrounding cannabis slowly falls away and more states legalize both recreational and medicinal use, more studies on the medicinal benefits will be done. As of now, we’re already seeing that the cannabis plant has more to offer than we ever could have imagined. In 2015, an Israeli research team found that CBD from whole-plant sources was far superior to synthetic CBD in the treatment of inflammation. While pure CBD most certainly has its uses, it stops showing effectiveness after a certain amount. But when researchers tried a CBD-rich extract made from the entire plant, they discovered that the benefits increased with dose. Researchers believe that this is the result of the “synergistic effect” between CBD and the other compounds in the plant. Along with CBD, there are approximately 420 other compounds found in the cannabis plant – including alkaloids, phytocannabinoids and terpenes like B-Caryophyllene. All of these compounds likely work together to produce the medicinal benefits. Health experts already know that the vitamins and phytochemicals found in whole foods are superior to isolated vitamin supplements, so why should the cannabis plant be any different? Using isolated cannabis compounds comes with other drawbacks as well. Research has shown that only a small percentage of patients preferred synthetic cannabis drugs to inhaled cannabis. This is partially because it takes a while for a pill to get absorbed and effectively block pain, and the relief from smoked or vaporized cannabis comes almost immediately. Of course, inhaling cannabis isn’t an option for children or those with certain health conditions. Every case is different. Fortunately, other alternative pain treatments using the cannabis plant are becoming available. Extracts and oils made from the whole plant used to be frowned upon in the medical cannabis industry. It’s only in recent years that experts have begun making these new discoveries. Now, patients are looking for new ways to utilize the full spectrum of the cannabis plant. For instance, Dr. William Courtney – one of the well-known advocates of cannabis juicing – famously nursed his wife through a number of serious ailments with the help of juiced cannabis. After drinking the juice for weeks, Mrs. Courtney was able to wean herself off of over 40 pharmaceutical drugs. Dr. Courtney believes that 99 percent of the medicinal value in cannabis is lost when the plant is smoked. Therefore, even if someone chooses to inhale cannabis to receive the initial pain relief, it’s still a good idea to juice the plant or use whole-plant products, especially if the patient is dealing with an inflammatory condition.